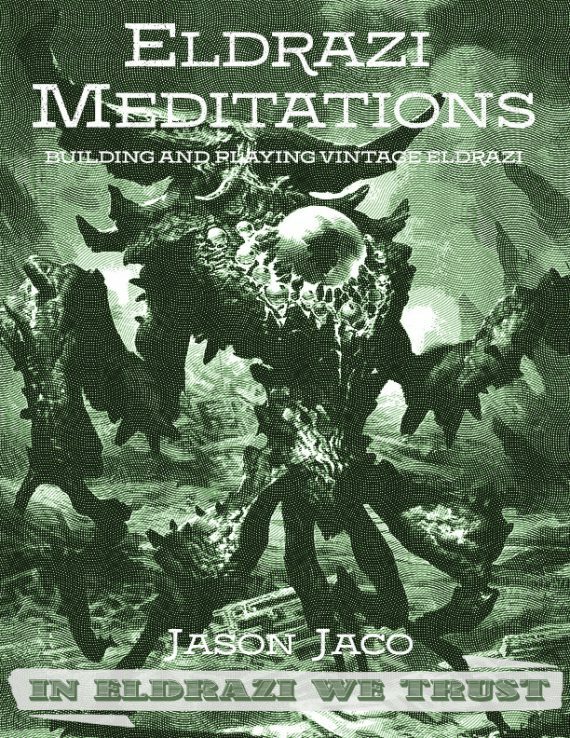 Eternal Central Press is proud to present to you Jaco’s Eldrazi Meditations (1st Edition). The Vintage landscape has changed, and creatures have returned in a big way. No longer a format dominated by Time Vault and Yawgmoth’s Will, Vintage has been transformed by the printing of creatures like Monastery Mentor and Thought-Knot Seer into one dominated by the combat step. The Eldrazi are here, and their appetite for destruction is endless. This extended length treatise chronicles the spread of Eldrazi from its Modern lineage to its impact on Vintage, along with how to build and play a variety of Eldrazi decks in Vintage. With in-depth analysis of deck building tactical options, granular mana source construction, and sideboarding strategy, this book dives deep on Vintage Eldrazi strategies, with translatable lessons for the Vintage novice and the battle-hardened expert alike. Click below for a live look-in and free preview of Eldrazi Meditations (1st Edition).